Mobile phone accessories are hardwares that are added to the phone to make it more useful and attractive, although, they are not vital to the operation of a mobile phone. Some of the mobile phone accessories include flip casescovers, screen protectors, pouches and sleeves. Shop online with Jumia Egypt for these and more, and order for any mobile accessory and have it delivered to an address of your choice. Your smartphone looks incomplete without a cover or a case. Our cases are beautiful and some of them come in printed shapes and messages. Cases and covers can be used to make a statement and protect your phone from damage. Other accessories such as screen guards and tempered glass screen protector can shield your phone's screen from scratches. Charges and cables come in handy when you want to charge your phone while you are away from home or office while power banks allow you to literally carry power with you and allow you to charge your phone when on the move. Then, there are accessories that are meant for entertainment like the selfie stick, Bluetooth headphones and speakers. 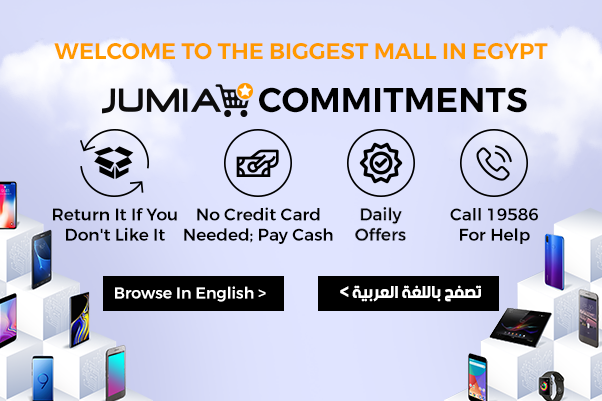 Shop for all these online with Jumia Egypt. We have a wide range of mobile phone accessories here on Jumia Egypt. Buy phone covers from well-known brands such as iPhone covers, Samsung, Blackberry and Future Power. Shop for phone accessories conveniently on Jumia Egypt and pay securely online.